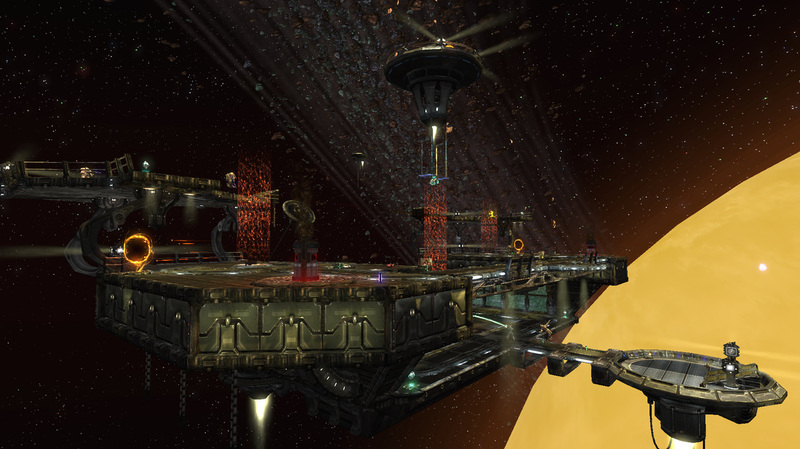 "Titan VR" is a remake of the classic Quake III Arena map, "The Longest Yard" ("DM-17") for Unreal Tournament III (UTIII). "Titan VR" transitions between two unique environmental backdrops with different gravitational forces each minute throughout the match. Players can prematurely activate the transition by heating or cooling all four of the simulation generators with certain weapons before each minute expires. 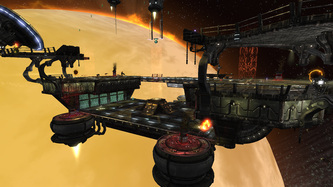 This map maintains the layout and competitive integrity of the original "DM-17" while introducing more visual interest and a new gravity mechanic that is gameplay consequential. The simulated environment of Saturn's unique moon, Titan, takes place on a small mining outpost that overlooks the moon's red and rocky vista during a fierce methane rainstorm. Titan's environment employs the default UTIII gravitational force. The second environment is a small station in the vacuum of space that controls the simulation. This environment features a significant reduction of gravitational force, completely changing the flow of combat and allowing players to make much larger jumps. "Titan VR" is the result of an assignment to recreate "DM-17" for UTIII, maintaining its layout while adding an interesting mechanical or environmental twist. Given the pre-determined layout, I decided to direct my focus to scripting, incorporating two unique environments with different gravitational forces in one map. Fidelity: I wanted to maintain the metrics and competitive integrity of the original map. To achieve this, I played The Longest Yard extensively before whiteboxing "Titan VR", timing runs from each end of all major platforms with a stopwatch so I could build its geometric equivalent for UTIII's player movement metrics. Two Environments, one map: My initial indecision about this map's setting evolved into the idea of using more than one backdrop. After prototyping with level streaming to confirm feasibility, I decided to create a map that endlessly cycles between two starkly contrasting environments, a stormy and dense planetary atmosphere, and the vacuum of deep space. 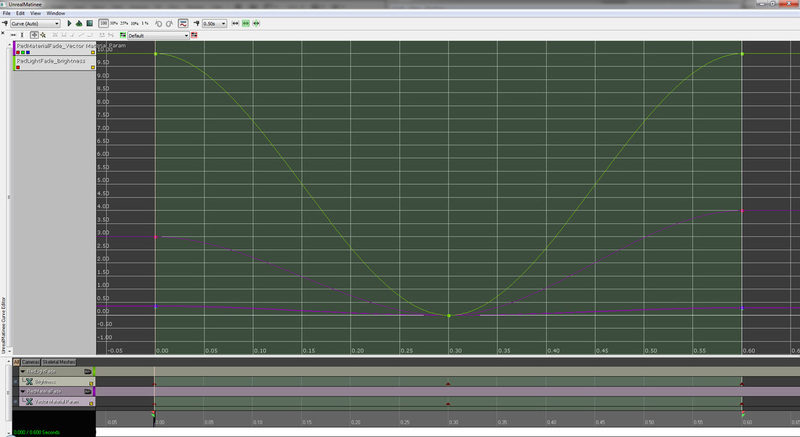 Gravity Switch: I wanted the environmental transitions to exceed superficiality with a new mechanic. I also wanted each environment's aesthetics to support this mechanic so players make an immediate and strong association. 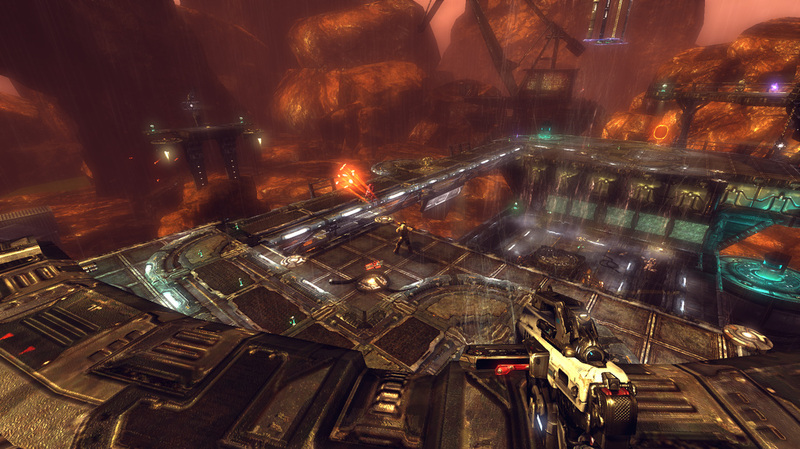 Transitioning between low and high gravity created an exciting new dynamic without altering the core gameplay. Equalizer: The low gravity shift is far more disruptive to veterans with familiarity of normal jump height and fall speed. This allows newcomers an opportunity to close point gaps without carrying the burden of unfairness associated with the unpredictability or effortlessness of things like environmental hazards or "super weapons" such as Redeemers. 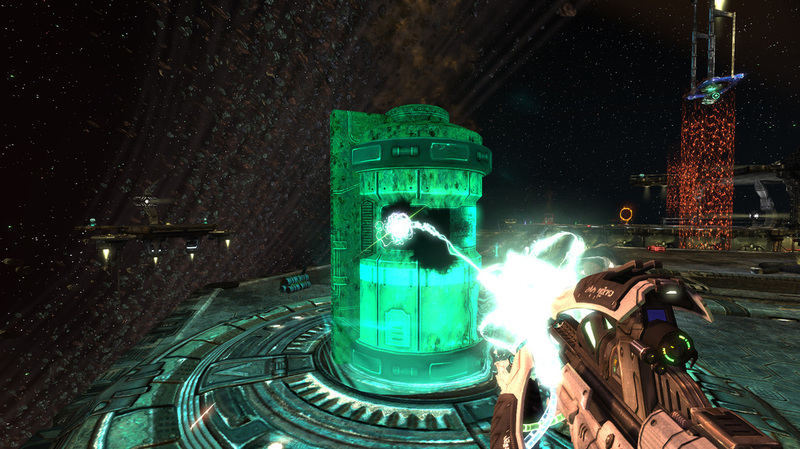 Interactive Objects: Players have the ability to set off transitions prematurely by damaging or repairing the four generators throughout the map. This further incentivizes movement and item collection, especially when players strongly favor one of the environments. This gallery contains several maps detailing "Titan VR's" metrics, mobility, and pickup placement. Use the thumbnails at the bottom to navigate and click on the image to view it in high resolution. 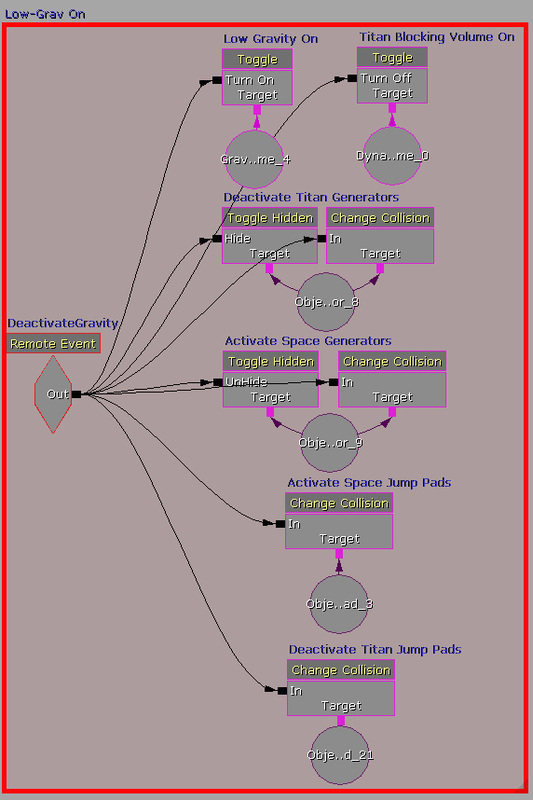 This section contains a gallery walkthrough detailing all of the Kismet script in "Titan VR". 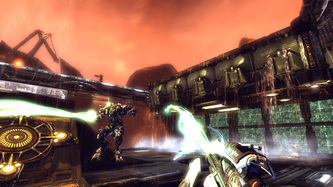 Refer to the image captions for a walkthrough. Use the number icons at the top to navigate and click on the image to view it in high resolution. "Titan VR" activates a low gravity volume when transitioning to space. This volume is deactivated as soon as the map loads. 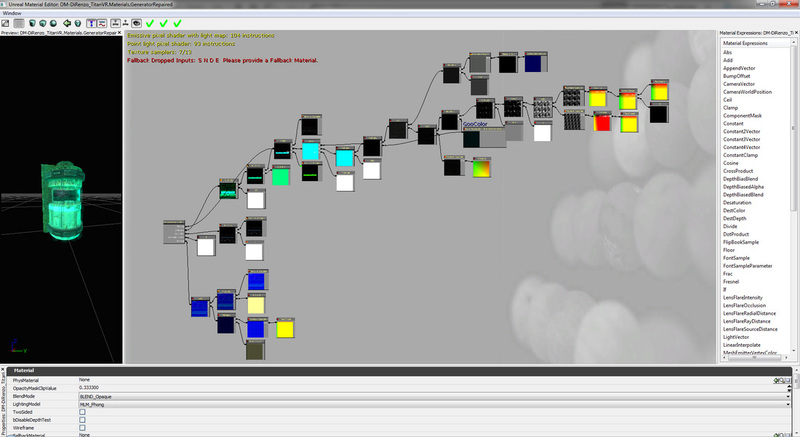 In the Unreal Editor, jump pads require a pad and path node destination to function. Once paths build, the force required to reach that destination is calculated. I discovered that building paths accounted for the low gravity volume and though my initial jump pad destinations appeared to be in the correct location, playing the map revealed that the force of the pads was only appropriate for low gravity. To solve this, I first removed the low gravity volume and set up all jump pad destinations to properly function in normal gravity. 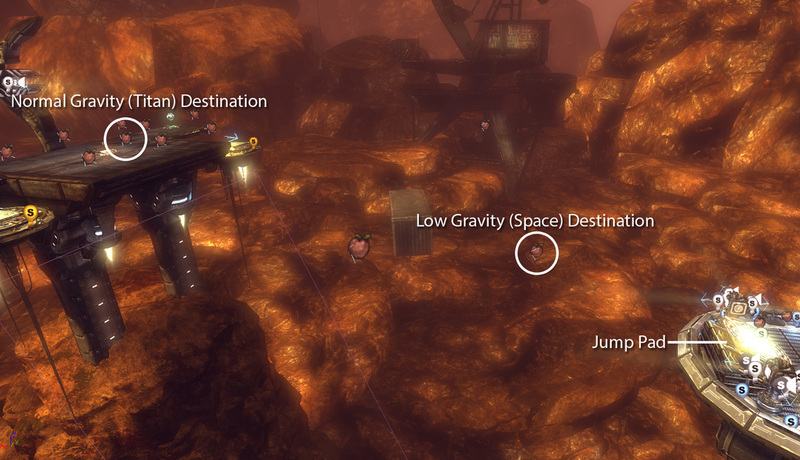 I then made a second set of low-gravity jump pads in identical locations that use destinations located much closer than their actual intended destination for low gravity. This process required a great deal of trial and error to determine the correct distance in low gravity. Since the editor representation is only appropriate for normal gravity, I had to constantly tweak the destination, rebuild paths, and test in low gravity to see if players landed in the same spot as they would in normal gravity. I finally rebuilt paths without the low-gravity volume, re-adding it afterwards, and scripted each set of jump pads to toggle on and off with their respective environment transitions. 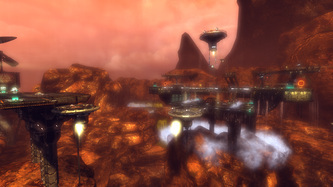 "Titan VR" was the first level I created to completion using the Unreal Editor. I had to quickly learn Unreal's Material editor so I could modify existing assets to suit my needs. ·The UTIII assets included no red rock materials for Titan's setting so I modified the hues of existing materials. 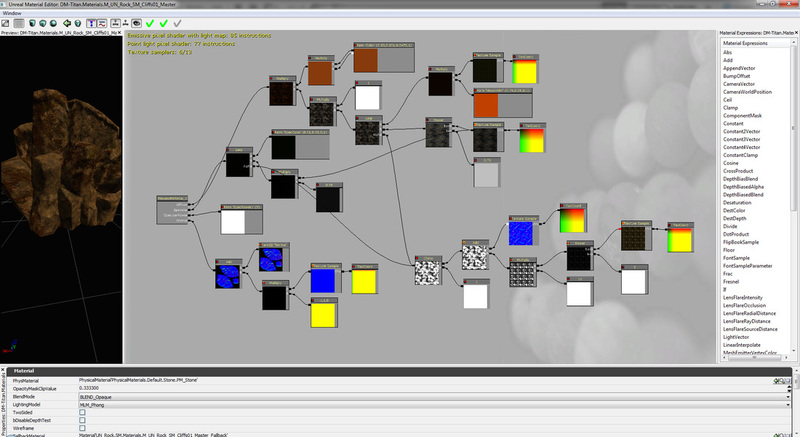 ·I created highlighted materials to flash on and off for generator damage feedback. ·I used a matinee animation to control the light flash warning animations on vector parameters for materials as well as brightness values for lights, creating a much more organic natural alternative to simple toggles. Simple Matinee repeats to fade red lights and materials on and off before and during environmental transitions. Example of the red point lights and platform materials.